There's no better time for exploring spices than Autumn! Last week we spent long time playing with spices - smelling, touching, tasting....amazing experience! 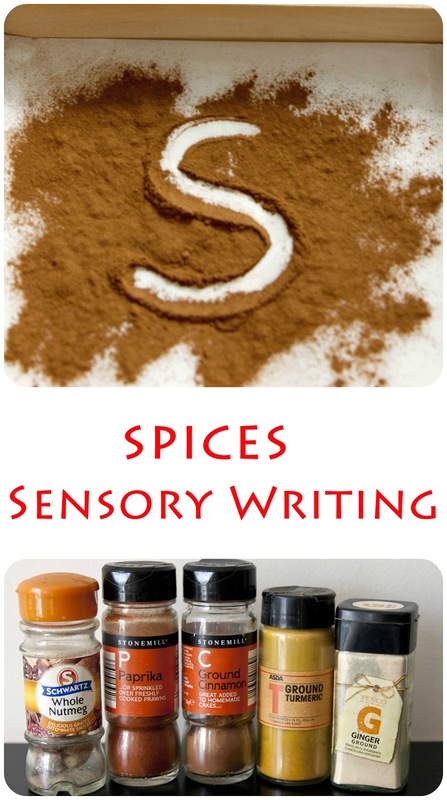 First and definitely favorite activity - spices sensory writing. All you need is a tray and some spices from your kitchen cupboard. 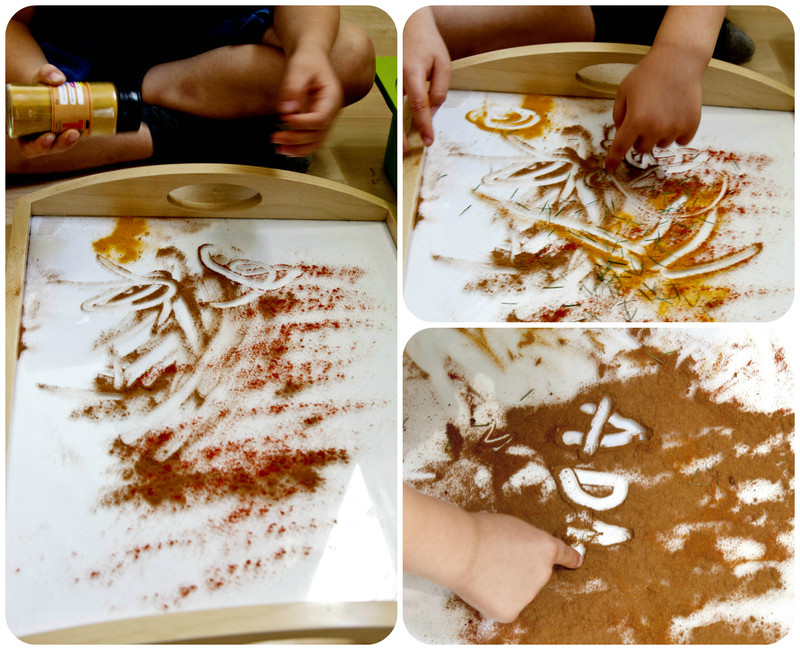 Although Mr Frog is quite confident in his writing now, he still needs to work on his handwriting. This kind of activity is perfect! 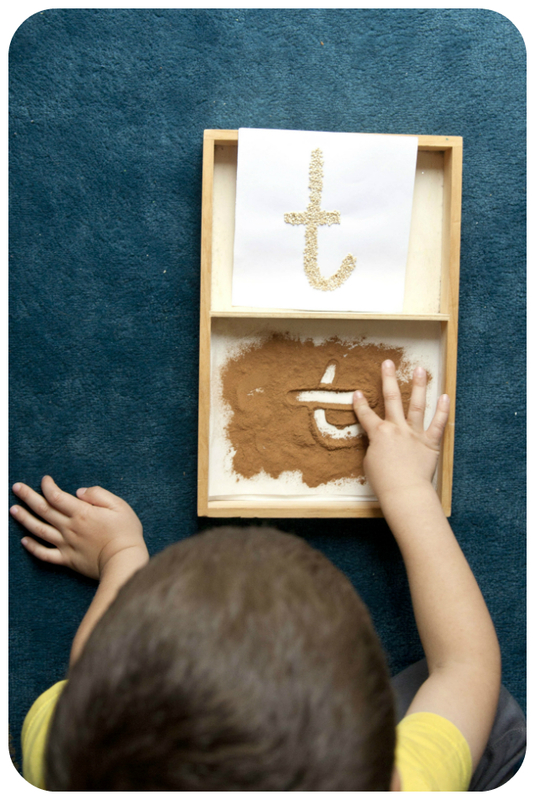 We used our sandpaper-like letters as a template and focused on practicing letters shapes. At the beginning Mr Frog chose his favorite cinnamon. Keep exploring! 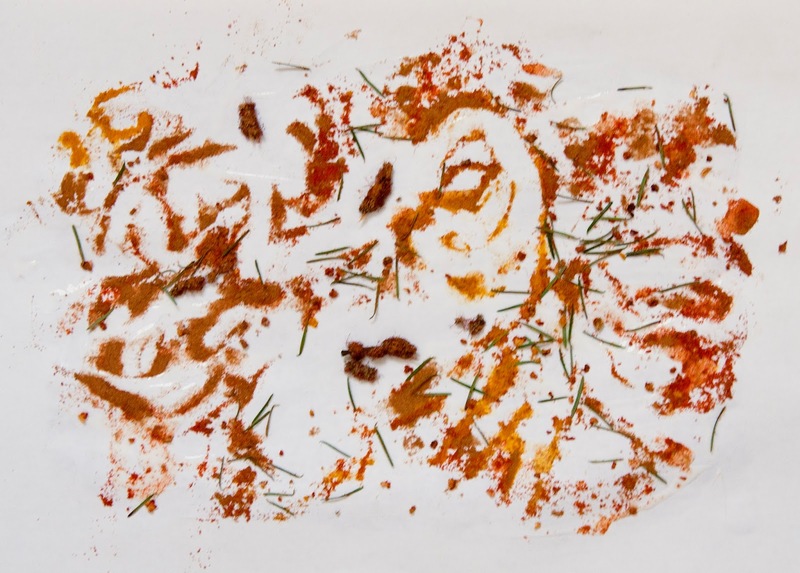 Smell and mix different spices together to get your own spice mix - perfect for mark making.